Why is it sometimes you walk into a room and you feel instantly at ease? The sensation is as if the room is telling you that you belong there. Yet other spaces, feel uncomfortable, cold and muddled. Is there a science behind creating a space that speaks to an family’s mood? Maybe. But creating a harmonious space will emote the first sensation and create contentment and ease. Who needs a Harmonious interior? In short, everyone! Let's be real. We have a long day at work, school or out with the family and end the day tired. Most days you long to go home and feel comfortable, at ease and restful. If your home feels cluttered, disorganized and just thrown together with leftover furniture from college, your Aunt Ethel or just old and outdated, then you can not achieve that feeling of relaxation. Our home is our sanctuary. It is the place we can truly unwind. Ultimately go to that zen place, our home needs to feel like you! What is a Harmonious Interior? Harmony is created when all the elements act together to create a unified message. Harmony creates a sense of restfulness. For instance, you can create harmony by using just one color, even though your forms vary greatly in shape, size and texture. Numerous factors affect a room's livability and aura. Color, light, flow, furniture layout and the actual physical items such as the furniture, lighting fixtures, accessories and art are all determining factors. These factors are the perfect way to marry spaces together. This unity will build your harmony throughout. Visual harmony, is the combination of elements — some which are the same and others which are different — that form a pleasing effect. Your ideas and concepts must be clear in order to marry all the rooms of your home into a harmony. How do I create Harmony in my space? Establishing harmony in a home sounds easy. A balance of concepts and elements are needed in each room and in the house as a whole to make a successful project. Each room should not be identical in design and decor, but should complement each other. There needs to be a common link, for instance, walking from the kitchen into the family room. This will produce unity (like a marriage) and the home begins to become a whole. This is the concept behind creating harmony. First, determine the heart of your home, your hub. In general, it is the living room or kitchen. It is important to choose a space that is hub -- the center of life and activity. This room will define the character and style of your home and design choices. As you begin to interweave the spaces of your home together, always think back to your “heart of the home”. Each room needs to have design elements that link back to the hub. 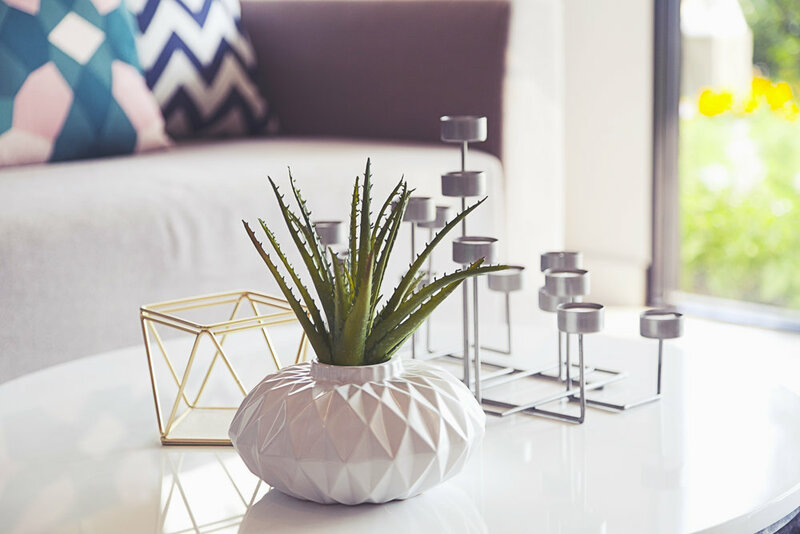 This will create a harmonious and cohesive home throughout. Using the same idea as starting from the heart of the home, you can organize your plan in sequential order. Take your floor plan from foyer or entry through to the bedrooms. Picture yourself moving through the home in a specific order. As you do this, bring in similar styles, colors, shapes, textures and patterns in big or small ways to create the common link. Transitioning a design from room to room in this manner makes sense for those which prefer structure and order. Color is a very important element in creating harmony in a home. There should be one or two colors to serve as links between rooms. This is why designers and decorators create mood boards. This color story gives the road map to your home and helping to create that common thread throughout. Although the most obvious place for colors are walls, there are subtler ways to weave colors that create harmony in accessories, area rugs, decorative pillows and art. I hear ya! We all have the best intentions when it comes to our homes. We can sometimes envision what we want. We pin what we want. We can verbalize what we want, but we fall short. Just remember, you do not have to do it alone. Reach out, ask me to consult with you, we can create that plan to make your thoughts, dreams and ideas come to life. Working with an interior decorator can be on small jobs or large overhaul. You're the captain of your domain! You may need just a little help to get your vision clear. What's holding you back? Book a 2 hour consult or a Laser Focused Design Plan today! Looking to do a bigger collaboration? Check out my services and we can figure out what is the best plan of action for you and your home. 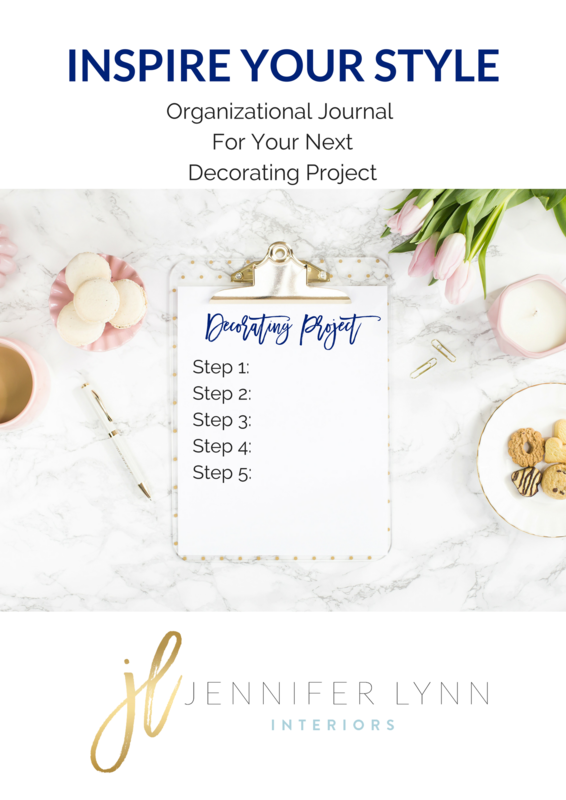 I'll instantly send you a guide to follow step by step to help you organize and plan your next decorating project. Company's coming! Are you ready?